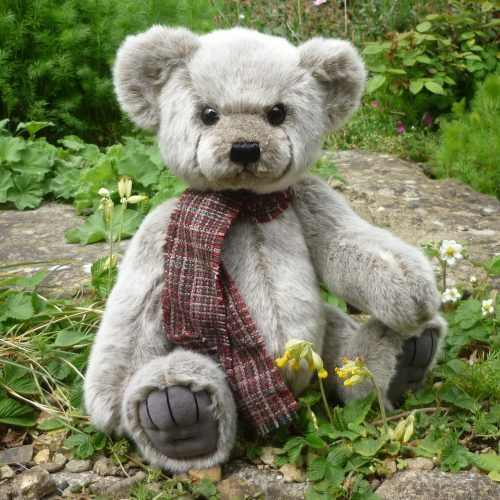 Teddy Yuno is made of silver grey plush with black safety eyes and a black stitched nose. 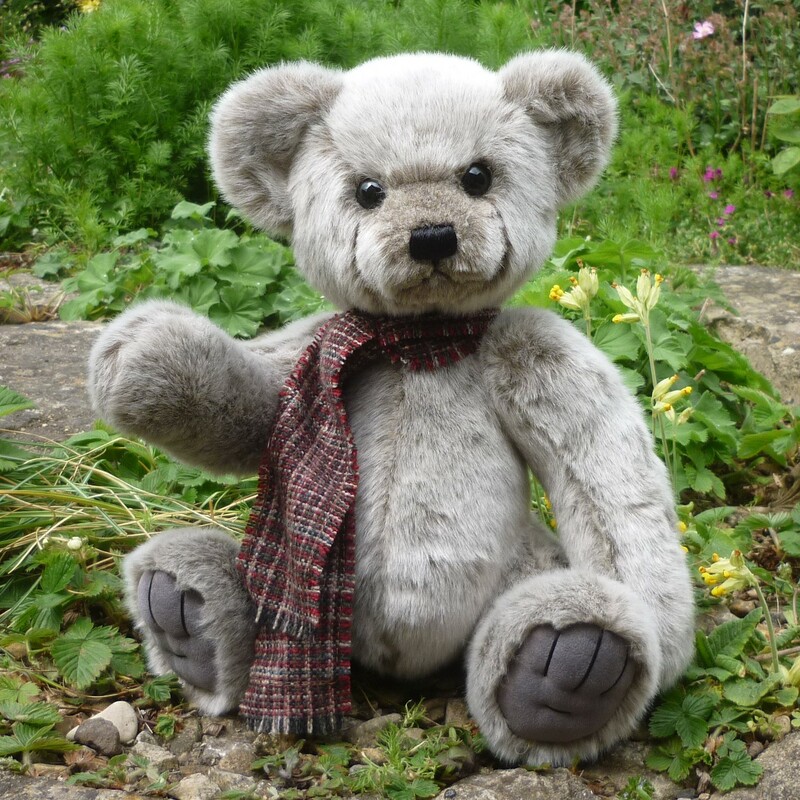 He has grey velour foot pads with stitched claws and wears a multicoloured tweed-style scarf. Softly filled with polyfibre and plastic beads.